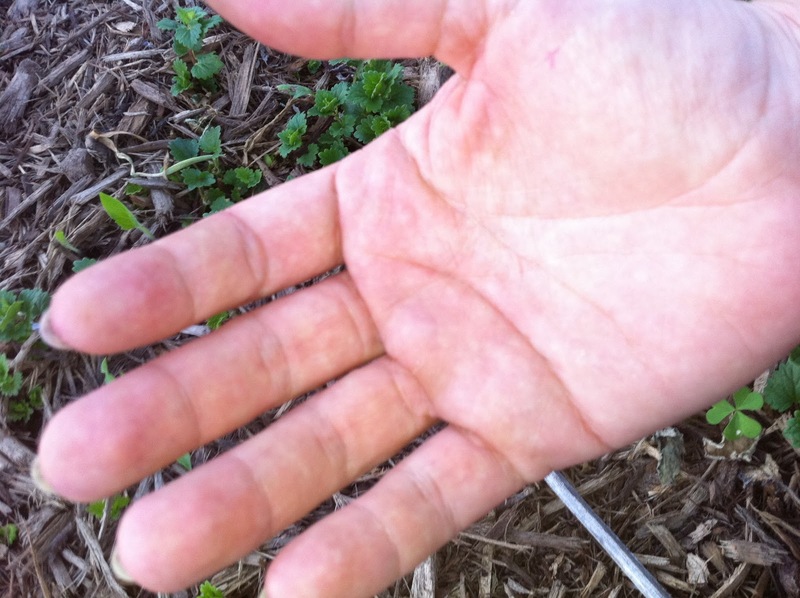 This week let’s take an herb walk at Many Hands House, shall we? 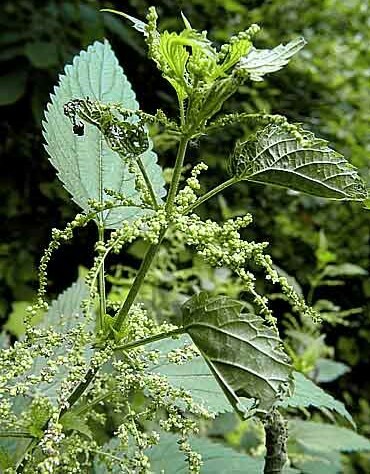 Today we’ll take a look at Stinging Nettle, my Spinster Sister. Stinging nettle is rich in pagan folklore. In Norse mythology Thor the God of Thunder is often represented by nettles, and burning them on the fire will protect you from his lightening during thunderstorms. Also in Norse mythology Loki, the trickster God, spun fishing nets out of nettles. Actually a very good string can be made out of nettle fibers, and it was widely used in the ancient world. It was especially used for making “nets”. In “The Wild Swans” by Hans Christian Anderson, the princess Elissa is guided by the queen of the fairies to gather nettles from graveyards without uttering a word. As she gathers them, she has to tread them with her bare feet; she then knits the nettles up into coats that will rescue her brothers from the swan form bestowed upon them by an evil queen. 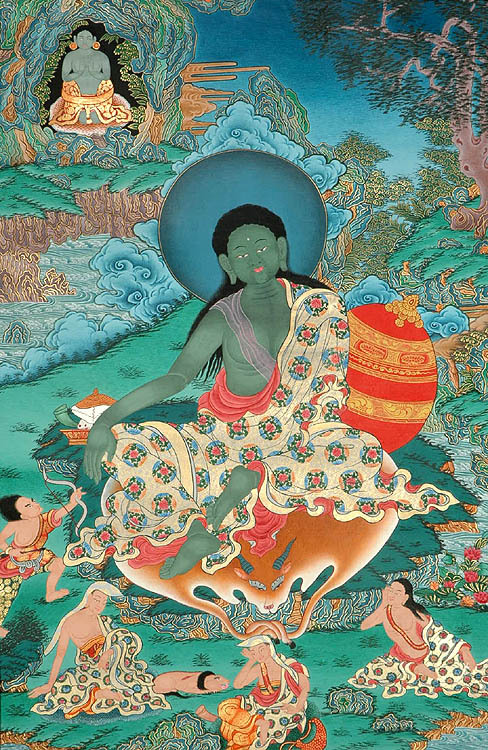 The Buddhist saint and yogi, Milarepa, is said to have eaten nothing but nettles and to have turned green as a result; hence, many of his images are constructed from green jade. 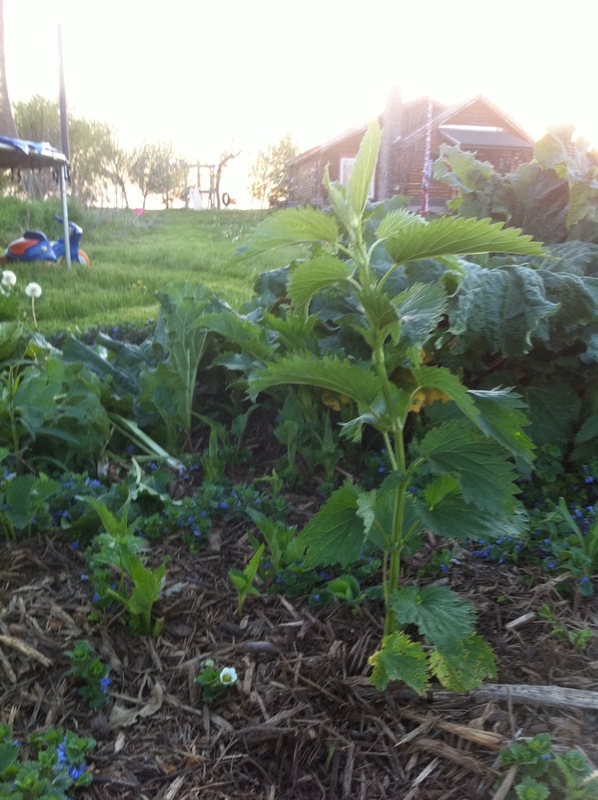 Stinging nettle is a nutritive herb, meaning, well, it’s all around good for you! Use the young leaves for tea and in salads. Midwives recommend a tea made from nettle leaf, oatstraw and raspberry leaves for their pregnant friends. Nettle root is a hair and scalp tonic. It supports your thyroid and your urinary tract. Nettle is high in vitamin A, B, C, K, calcium, potassium, iron and many trace minerals. Yesterday I gathered up young nettle leaves to try making into juice! 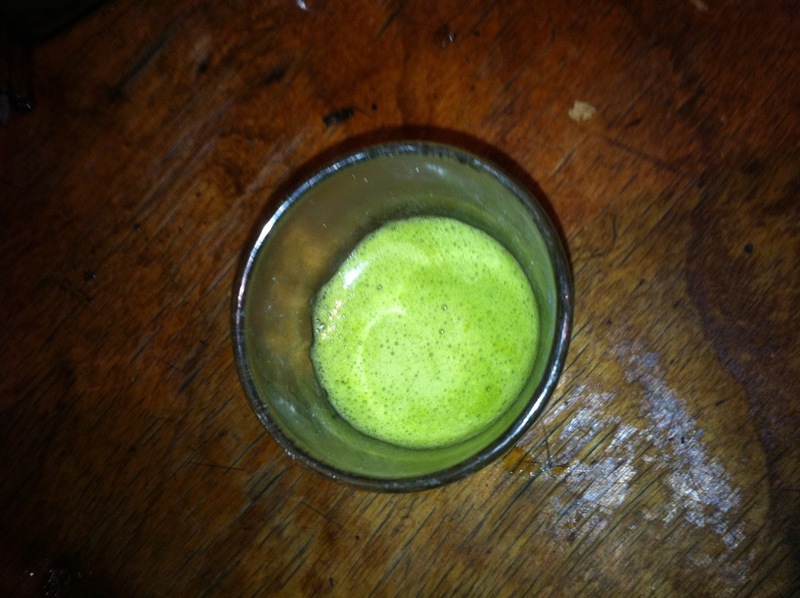 I ran a large unrinsed bowl of leaves through the juicer and only got a shot glass worth! It smelled so green! And looked so green! But the taste was, well, overwhelming. Like a glass full of sting. Next time I’ll stick to tea. 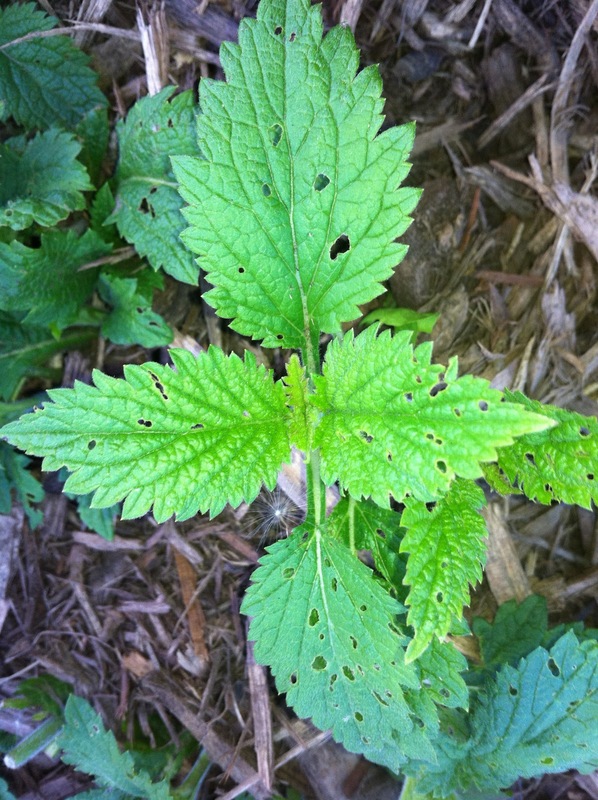 Have you found nettle in your yard? What’s your favorite nettle recipe? It's been a few years since I've had any, but young nettle leaves and terminal buds are delicious steamed – kind of like broccoli. And, I always used nettle tincture for congestion in my oldest daughter. My sister's custom-made tincture for her also included licorice root and reishi mushroom. She used glycerine as the medium. We called it 'kitty tincture' b/c she always put a kitty sticker on the bottle. Thanks for sharing this Melanie-I have been wondering how to make nettle tea. It's supposed to be great for my hubby's psoriasis issue's! Andrea, I have never made a tincture from glycerin, have you? I am making some alcohol based shepherd's purse tincture tomorrow. Kaye, making nettle tea is easy and oh so healthy! I am trying a nettle soup recipe tonight. Thank you both for reading my blog! Nettle's is this month's herbal roots zine herb! 🙂 I'm learning tons about nettles this month! Michelle, if Melanie leaves some, I might try making a tincture from some. we don't have any nettles here… at least none I feel safe picking. 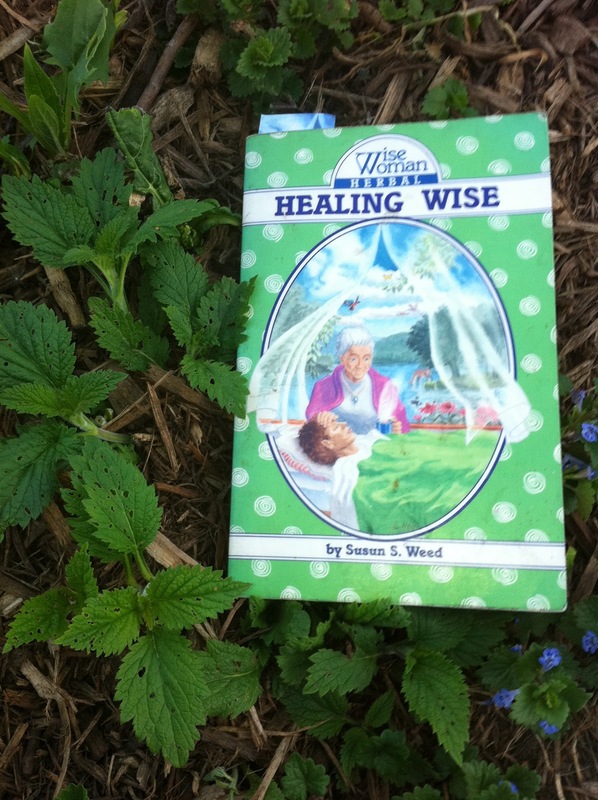 I love Susun's story about the Nettle's she rescued. Michelle, what would you use nettle tincture for?